It should be said that during the war time the issue of food supplies was very serious. When Hitler planned to occupy the Smolensk territory, he wanted to destroy the enemy army quickly and to create a base for Moscow attacking. During the battle, crops, livestock, food stores were either destroyed or captured by the enemy and used to meet the own needs. As a result, there appeared a catastrophic food situation in the military units and peaceful territories very quickly. 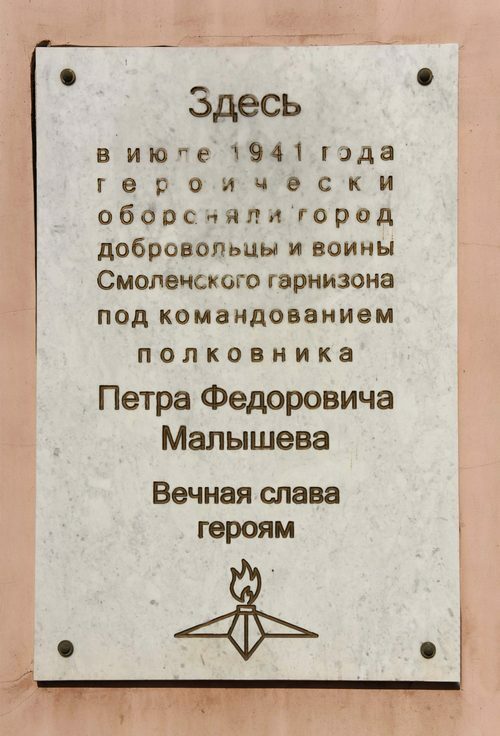 Next to the above mentioned house number 4 in the Bolshaya Krasnoflotskaya street (now is an object of cultural heritage of regional significance «The House with the bench»), there is a memorable place, where the Smolensk militia kept the defense against the advancing Nazi troops. The backbone of Russian troops operating in the area of Smolensk, were the forces of the 16th Army. It consisted of 32th Infantry Corps, consisting of the 46th and 152th Infantry Division. In the night from 22 to 23 July in the area of the cemetery in the joint 129th and 152nd infantry divisions there were severe street fightings. After a short but powerful artillery attack, the 152th infantry Division went on the offense. The division parts broke into Smolensk at its territory and began to liberate slowly, but surely the house to house, block by block, street by street. In Smolensk «pot» — the Nazi propagandists trumpeted about it around the whole world – the was the wrong mess, as the Hitler commands wanted. The German soldiers were puzzled, how could the Russians in the conditions of chaos and hunger so persistently and fearlessly try to attack the German positions. The Germans wrote: «The Russians fight till the last breath, even wounded do not let us to themselves. The one Russian sergeant, unarmed, and with a terrible wound in his shoulder, went at us with a pioneer spade. Madness, it is the real madness. They fight like animals». From the German’s point of view the opposition in the Smolensk region for the first time broke Hitler’s plans. In a heavy fighting bogged down 11 enemy divisions, aimed to Moscow. Battle of Smolensk was held from July 10 to September 10, 1941. Its main result was the delay of the German’s offensive on the capital. The «Barbaross» plan: a sudden blow, lightning war – a serious breach, as a result. 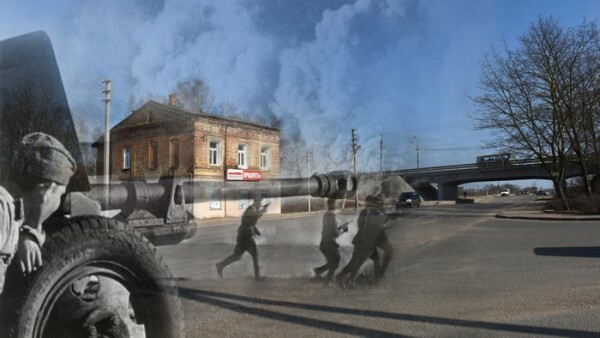 The army near Smolensk made a great feat and people would not forget it. A strong movement, made by the enemy, was thrown here. Smolensk showed (and later Moscow proved!) that the blitzkrieg wasn’t released.